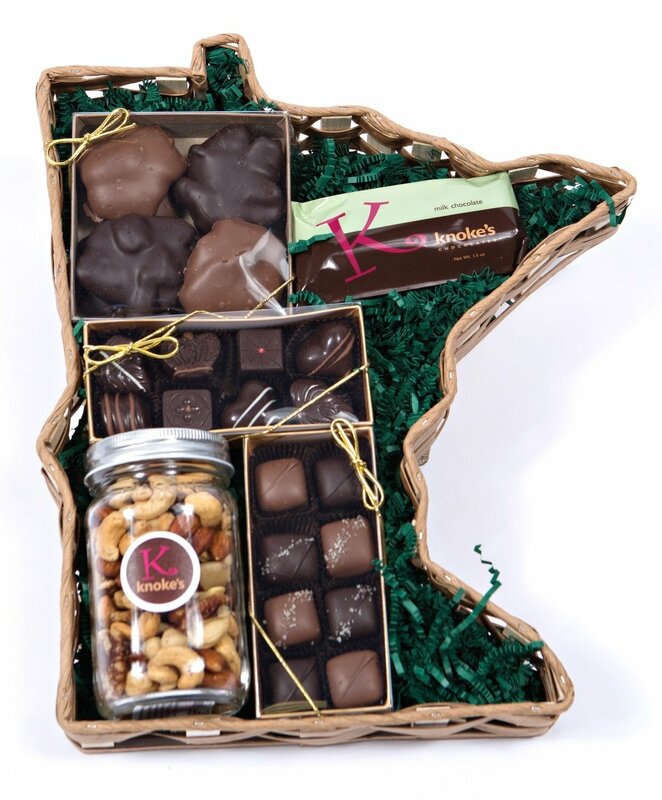 This beautiful Minnesota shaped basket is the perfect gift to celebrate this great state! It comes filled with Knoke's treats. Included are turtles, a beautiful jar of mixed nuts, truffles, a chocolate bar and our very popular caramels! Every recipient is sure to love the deliciousness! !